Post length: You may want your posts to stick to a certain length either because of how your posts look visually or because you’ve determined that your readers prefer a shorter (or longer) post. Paragraph length: Long paragraphs hinder readability. You may limit paragraphs to a certain number of lines. Or you may style your posts so that each paragraph is just a few words or a short sentence. Image placement: If you wrap text around your images, your style guide can specify that and whether the image floats to the left or right side of the text. Or your style guide might specify that images are centered in the column above or below the text in a blog post. You can also clarify whether image placement changes depending on the type of post you write. Headings: Headings visually guide readers through your blog posts. 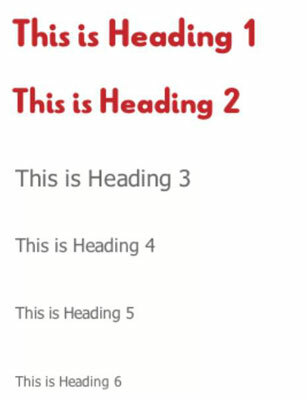 HTML gives you up to six levels, with 1 being the most important heading. Within HTML, tags written as <h1>, <h2>, and so on indicate a heading’s level. Blog post titles are <h1> headings; then, within your blog posts, you can use any level heading. For your headings, you might choose to make them all one font, or maybe switch to another font when you get down to a certain level. Also, you may choose to write your blog post titles in Title Case but other headings lowercase. If a certain heading size looks too small, stick with certain levels for your blog posts — and denote that in your style guide.